oSTEM, which stands for Out in Science, Technology, Engineering and Mathematics, is an international organization that supports the queer and trans community in the STEM fields. 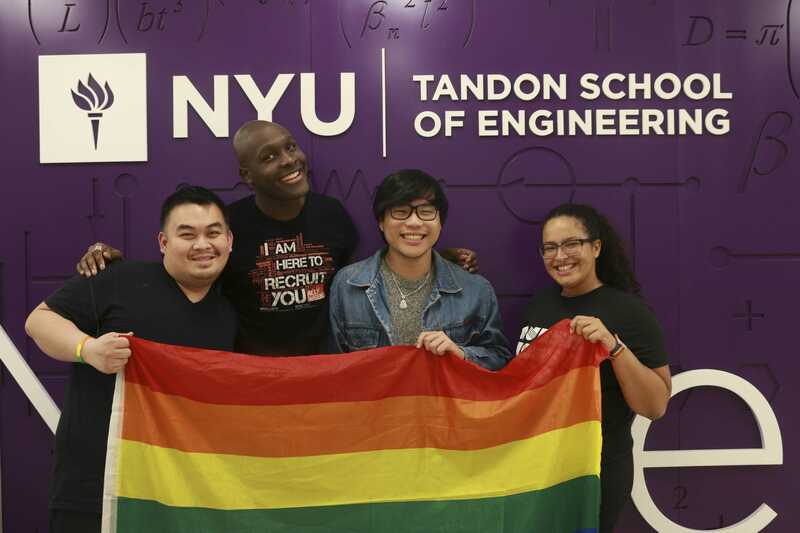 oSTEM at NYU Tandon School of Engineering also helps foster safe spaces on campus. One NYU organization is working to create an inclusive space for LGBTQ individuals in STEM fields. oSTEM, or Out in Science, Technology, Engineering and Mathematics, is an international organization that supports the QT (queer/trans) community in the STEM fields. oSTEM at NYU — specifically Tandon — works to foster safe spaces on campus for these students. Tandon professor Peter Li is the faculty advisor for oSTEM. He said oSTEM was founded because the Brooklyn campus didn’t have an LGBT center. Tandon third year student Eric Kwok is the incoming secretary of oSTEM. He said oSTEM changed the way he viewed the power dynamic of the interviewing and hiring process. Tandon fourth year student Malcolm Lewis is the president of oSTEM. They were the mastermind behind the club’s recent event that brought STEM professionals from Google, Twitter, Facebook and IBM to campus to network and talk with students about life in the workplace. Lewis networked with various representatives and recruiters from these big companies at conferences, events and even movie showings to bring the event together. Tandon fourth year student Angie Gonzalez is the chapter liaison of oSTEM. She moderated the panel at the event and asked questions about diverse professionals’ backgrounds, workplaces and college experiences — especially concerning with LGBTQ resources. The panel was extremely diverse, with a large variety of ages, gender identities and races. But what is special about oSTEM’s mission is that the group constantly questions the norms of gender in the workplace, which includes dress code and being professional. Now, the organization is working to be more prevalent on the Washington Square campus and encouraging more students from the STEM fields to join them. oSTEM also hopes to receive more funding from NYU as they are, at the moment, only funded by companies who support oSTEM nationally and by the faculty advisor who pays out of pocket. For more information on oStem, check out its website.